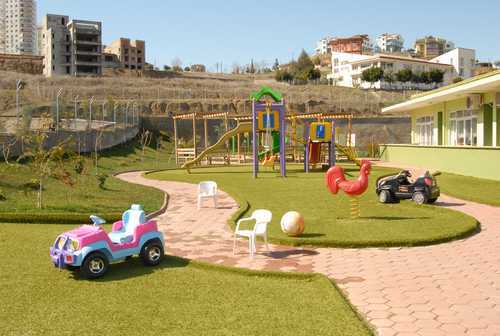 OUR SCHOOL Our school is located in a big city where nearly 2.000.000 people live in Adana, but the school is very lucky to be situated near a lake with a large fascinating garden. The pupils are lucky to be able to plant some vegetables and fruits and to see how they grow. Students and teachers participate together to keen on environment. Having a garden and getting the pupils deal with it is the best way to be aware of the environment in big cities. Harvest takes place in Spring and kids take part of it. We believe it's a good way to educate pupils using environment in their education.